SAVE NOW: INSTANT SAVINGS! 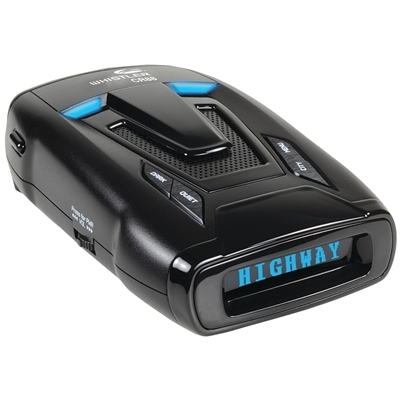 SAVE 30% off of the retail price of this radar detector! Become a VIP member for even more savings! Click here NOW for details! The Whistler CR-88 is now ranked as a 3-star rated radar detector, providing you ample time to slow down in most police radar encounters. Radar Roy rates the Whistler CR88 as the best radar detector in the under $180 price category, providing you with 4X the capture distance of a police K and Ka radar gun. While the Whistler CR88's overall performance doesn't match that of the highest priced radar detectors we offer, the Whistler CR88 provides very good performance for the money. The Whistler CR88 offers 360-degree protection and detects X, K, and Ka radar signals and very good sensitivity to police laser. The Whistler CR88 has the same performance of the Whistler CR93, but does not come equipped with GPS technology so it does not provide photo enforcement protection. For just $25 more you can get the Whistler CR93 which does provide that capability. The Whistler CR88 has noticeably better range and performance than previous models, and is ranked in the 3-star category because it has four times the capture distance range of a police K and Ka constant on radar gun. This level of performance and quickness of the Whistler CR88 to react to I/O police radar makes this detector very good in instant on encounters. The sensitivity and filtering of the Whistler CR88 is quite good; you will get some false alerts but will not be bombarded as you would with lesser radar detectors. Given all of the K-band based automotive collision avoidance systems that are on the road today, the Whister CR88 provides the unique ability to inform its owner that the detector is being actively being interfered with which may impact its reception performance. While other detectors may successfully filter out these sources from creating false alerts, the driver is likely more vulnerable to a real police radar traps while in proximity to these systems. FDSR informs the driver of this vulnerability, while still remaining quiet. The CR88 does especially well at filtering out K-band CAS systems from Chevrolet, Honda, and Acura that can wreak havoc with other radar detectors. The CR88 comes equipped with a USB port which allows for both firmware updates as well as updates to its photo enforcement database. The CR88 has clear voice alerts, providing you with the information you need without having to take your eyes off the road. The CR88 displays radar alerts using an OLED display. The display is easy to read at any angle and the brightness is adjustable. You program your CR88 by pressing the buttons to set the brightness of your display, program the radar bands used in your area, adjust the filtering options, and more. Your detector comes with Whistler’s 1-year warranty and Radar Roy's 30-day no risk money back guarantee. Also, here on RadarBusters, Radar Roy has several articles in his help guide section to assist you in getting the most out of your detector such as: How to Maximize the Use of your Radar Detector, How to Update Your Radar Detector, and Defensive Driving Tips for Radar Detector Users. You’re welcome to contact Radar Roy direct 24/7 by using the contact form on this website or calling our toll free number during normal business hours. The CR88 comes equipped with a power cord with USB connectivity for your smartphone, a windshield mount, and reference guide. Authorized Whistler Dealer: RadarBusters has been an authorized dealer for Whistler since 1997, so you can be assured that you detector is covered under Whistler’s warranty program. Radar Roy Support: Have a problem or concern with your detector? Then email Radar Roy 24/7 and we will get back with you typically within 12 hours or less!